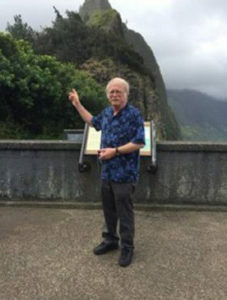 Lloyd holds a master’s degree in English and history from the University of Wisconsin and began working for the AIOIC in the 1983, at first writing proposals. Soon his responsibilities shifted to the educational side of the agency. Lloyd has also taught a wide range of classes. He favors Business Communication and Introduction to MicroSoft Office because of the diverse skill sets among the beginning students. People of different ages and abilities take these classes, so it is vital to take time to meet the students at their skill level and help them move upward. His earliest experiences with computers involved written programs and punch cards, so he had some catching up to do, starting with BASIC programming on a TRS-80 computer and learning software applications on a Wang computer and later with the WordStar and VisiCalc programs—all good learning experiences. The first time he used a mouse, he held it upside-down and wondered how anyone could master it. He has five step children, five grandchildren, and one great-grandson. Some of Lloyd’s hobbies include: gardening, biking, tennis, and movies. His wife Laura is very active in the community.